Lauren Oliver has become one of my favorite authors (despite the not-ending of the Delirium series) so I was pretty excited to pick this one up. Replica is two stories in one and there are a few different ways you can read it. I chose to read all of Lyra's story, and then Gemma's because basically that's all the digital copy of the library would let me do. 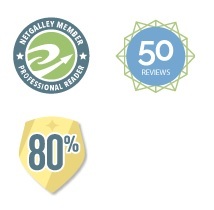 BUT - you can alternate chapters or read Gemma's first...however you wish to do it. I feel like if I would have started with Gemma first I would not have been that invested in it. Gemma has a normal life. She's a normal high school girl with regular problems...until one day her problems aren't so regular. Her parents are overprotective but a what seems like a little prank to Gemma turns into an investigation and her running away from home. That's where she finds Lyra. Well, she finds Lyra outside the fiery remains of the Haven Institute. This is where Lyra has lived all of her life believing she's a replica, or a clone if you want to put it in layman's terms. Lyra's story was more interesting to me because she's on the inside of the Institute. Lyra is a replica. She's a clone and she doesn't know anything else but life there. She has taught herself how to read and managed to escape in the middle of a bombing. Lyra is strong, though she doesn't seem very smart most of the time. You have to credit that to her lack of knowledge of the outside world, however. Gemma and Lyra, with the help of Jake and 72, begin a journey to find out the truth about Haven Institute and how they are all intertwined. While Lyra's story focuses mainly on her and 72 trying to navigate the real world and what it means to be a human, Gemma's story focuses more on what exactly happened when she was a baby and where exactly Lyra came from. I really enjoyed getting to know these characters and try to figure out where they came from. I loved the mystery and science part of the story and I feel like Lauren Oliver does a great job of making it easy for us to understand. Without dumbing too much down, we still know that some serious stuff is happening at the Haven Institute and there is going to be some serious backlash after the explosions. 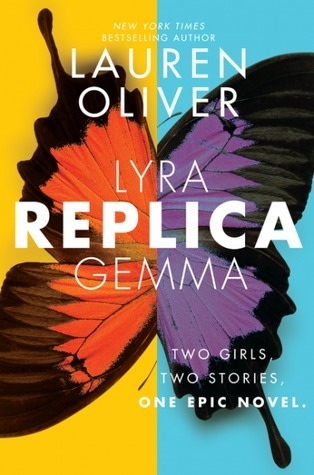 I'm looking forward to seeing how Gemma and Lyra grow as characters, especially given what they learned about themselves toward the end of Replica. Keep writing, Lauren. I'm going to keep hanging onto your every word.